WordPress started as an open source blogging tool in 2003 and has grown up to become the most popular content management system since then. By now, thanks to its expanding list of features, the platform not only satisfies the needs of bloggers and online small businesses, but also serves the operation of larger sectors such as education. Schools, teachers and students worldwide exploit the possibilities of the platform, and take advantage of the numerous benefits that WordPress – as a basis of websites – can provide in the field of education. Education is one of the most important fundamental aspects of sustainable economic growth. It improves people’s productivity, their ability to listen and think more effectively and to imagine things more creatively. Investment in human capital is essential for developing the economic well-being of a country, quality education would have to be indispensable consequently. All money spent on education will pay for itself many times in the future. The list of education’s general advantages for individuals is endless. Besides developing the way of thinking and problem solving, it also opens the doors to various workplaces, and boosts one’s financial income. The road to a higher salary is higher education level, consequently learning pays off in the long run. According to data from research paper published by the Department for Business, Innovation and Skills, education has social benefits as well: people who have studied in higher education are much less likely to commit crime, become alcoholics or smokers. Education’s effect on the economy is huge. There’s an interesting correlation between GDP and the level of education. First of all, the higher the GDP per capita is, the more money can be spent on higher education. The linear relationship is true even if you approach to this correlation from the other side. The higher the level of education is, the higher the GDP per capita gets. So human capital is a key factor by all means. 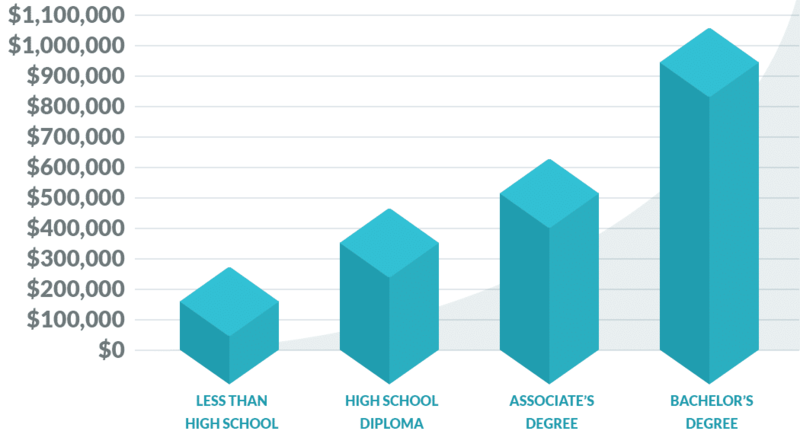 The graph below shows the connection between the level of education and earnings. A college graduate earns 70% more at the age of 22 than a high school graduate. Another way to display the significance of education is to compare the total lifetime earnings of people with different qualifications – as shown in the graph below. People with Bachelor’s Degree earn almost five times as much through a lifetime as those ones who didn’t attend high school. Right now, I would pay $100,000 for 10 percent of the future earnings of any of you…Many of you are a million dollar asset right now. After examining the importance of education, let’s say a few words about how the development of technology affects learning habits. The last few decades have resulted in an enormous technological progress. There are plenty of new devices and services which have become a part of our everyday life and we cannot even imagine our lives without them: smartphones, tablets, the internet along with Facebook, Twitter and Google. Today every high school, college and university has a website where one can find all the information about them, iPads are used even in primary education, students can apply to college courses online and get in touch with their fellows and teachers through the internet. A lecture or presentation does no longer exist without a computer, teachers inform their students about the subject of the next lesson or the date of the exam via email, they also upload test results to the institution’s software-based unified education system. The spread of technology in education is only in its infancy, but more and more online solutions such as e-learning and distance learning are to come to the front in the next few years. The popularity and spread of online education is not a surprise at all; many people turn to it in order to eliminate long distances, lack of time or high expenses. Peter Drucker, the famous management consultant, educator and writer of numerous great books, already predicted this trend in 1997 in quite a shocking statement. Universities won’t survive. The future is outside the traditional campus, outside the traditional classroom. Distance learning is coming on fast. A study from Docebo – a Cloud E-Learning solutions provider reports a similar trend prognosis, which is reflected well by the following graphic. This shows the huge growth predicted in the e-learning market until 2020 in the United States alone. WordPress, that was a basic blogging platform a decade ago, is now the most widely used and popular content management system (CMS). More than 29% of the websites use WordPress today, which means millions of sites. It’s no wonder that a complex ecosystem and community has been built around it. The possibilities of WordPress are endless – it can be used to build simple blogs, auction sites, forums, even governmental websites. Why would education be an exception? 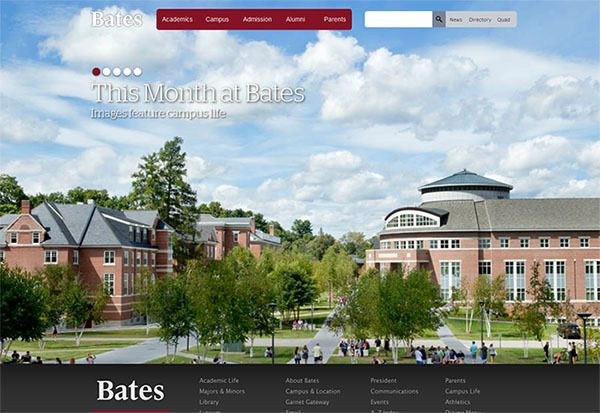 WordPress is probably used in the most varied ways (including the possibilities offered by the internet) in higher education, the CMS appears on more and more college and university websites, for instance on the official websites of Bates College, University of Florida, University of British Columbia, Georgia State University, Boise State University. The number of tertiary schools recognizing the wide range of options WordPress provides is increasing, they make use of it in the most fields possible. A strong argument for WordPress (besides its popularity and versatility) is the idea of not wasting time on educating people with the help of peculiar in-house systems, when a major web publishing platform can present a more worthwhile solution, not to mention that the knowledge acquired on how to use WordPress can be utilized even after studies, at home or at work too. No wonder that WordPress as a subject is already taught in numerous colleges and universities as part of the computer training schedule. 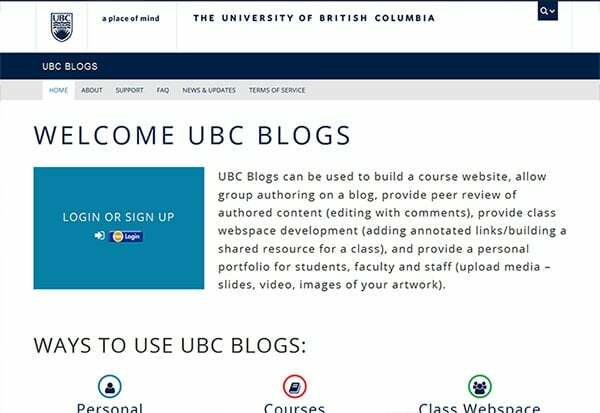 Students can sign up to WordPress classes in numerous universities (such a class can cost around $100 though) where basic or intermediate WordPress knowledge is educated: the basics of the CMS itself, the dashboard, creating and editing pages and posts, moderating comments. In addition, students can learn how to customize a site, how and when to use plugins. Subjects related to this CMS – just like Introduction to WordPress and Intermediate WordPress classes that the University of Missouri-St. Louis offers – appear frequently world-wide. A collection of sites within one single WordPress installation is a multisite network, where a super administrator access is needed for adding new sites. The sites can use themes and plugins in common, and they don’t have separate directories on your server, they only have their own directories for media uploads and independent tables within the database. One of the greatest advantages of multisite is that you can install or delete plugins and themes for all the sites in the network synchronously, and also add an infinite number of installs to a network. Consequently, education can benefit from multiple sites being used as a blog for instance, where teachers can add students easily to the new installs through the admin area. They can use the WordPress mobile app to read their student’s new blog posts and approve comments. Blogging helps students develop their writing, reading, listening and speaking skills; not to mention how great a platform a blog is to share thoughts and opinions with others. As vicious hacks are common these days, security is as important for multisite networks as for single installs. One of the basic to-dos that a teacher (as an admin) can manage without the help of a developer is always updating WordPress to the latest version available. The other beloved solution of WordPress that higher education often takes advantage of, is Edublogs, the largest education blog provider. The system is based on WordPress and is similar to the sites hosted on wordpress.com, but while the latter was invented for general blogging, Edublogs specifically targets education – it is a community for teachers, students, educators. 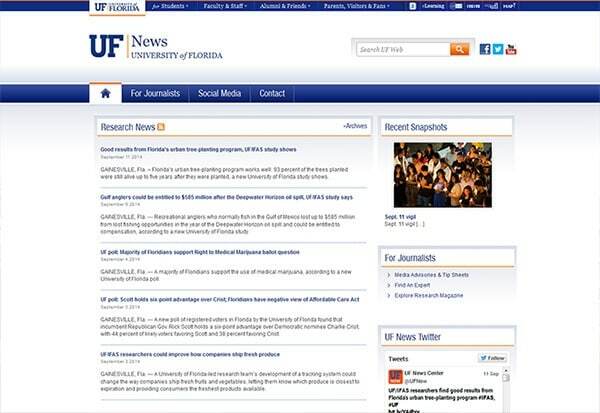 Edublogs is used mainly for student-created content rather than information and content provided by the institutions. Students write articles and share them with each other, post videos, ideas, links etc, and they can comment on their fellows’ blog posts. Edublogs is widely used as a public class website – open on the web -, where educators can share class schedules, homework and the content of the lessons with the students. She shares interesting stories in her blog posts along with many photos and videos, providing the possibility to comment under each post. There is also a learning blog for each 6-year-old student collected on Ms. Cassidy’s site, where she posts the works of each child making their parents proud. Edublogs has been powering 2.5 million blogs since 2005. We were interested in why they have chosen WordPress and what kind of feedback they get from users. 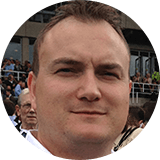 We have reached out to the company’s project manager, Ronnie Burt, who kindly replied to our questions. You can read the answers below. Edublogs is based on WordPress, what was the reason you’ve put your vote on this CMS? What are the main benefits of using this content management system? Were there any other alternatives to choose from? Back when Edublogs launched, over 9 years ago, it really was all about blogging, and WordPress was just coming out as the blogging tool of choice. 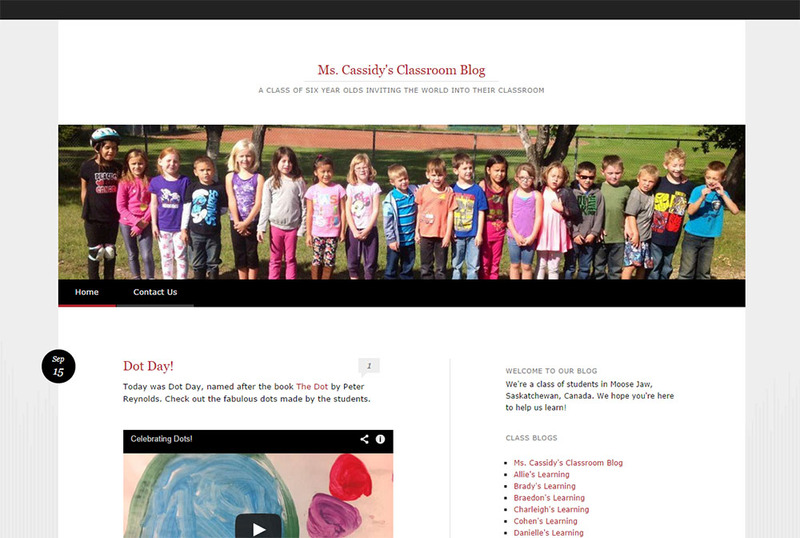 In fact, Edublogs launched just a week or two before WordPress.com! There was nothing else out there like WordPress MU (now Multisite) that would allow us to have a self-serve platform for educators and students. So we went with it! Over the years, we’ve seen more and more of our users leverage WordPress in many different ways. In fact, this is why we recently re-branded our managed hosting service for education as CampusPress, to take “blogs” out of the name. Why do you think people love to use your WordPress based system from the feedback you get? The coolest part about my day is getting to see the work that students as young as 5 years old are doing on our platform. WordPress is just super easy and intuitive, which keeps our users happy. On the flip side, we have teachers blogging that may not be too tech savvy. But they are able to publish on the web and do some pretty incredible things. Also, there’s no question that themes, and how the sites look, is the most important things to our users. Do you think there are any weak points in WordPress that should be fixed in order to help it spread further? I’m really excited about the recent improvements and focus on better supporting multiple languages in WordPress. That is one weakness that is improving with each new release. The core team does an excellent job of keeping things minimal, but one weakness is that WordPress can quickly become a beast when users add a ton of plugins or aren’t really sure what they are doing. This may scare people away over time. Another tool serving education is SchoolPress, which is a WordPress powered open source web app for students, teachers and classes. It is built with WordPress Multisite. The app was launched in beta at the beginning of August 2014, and is still under development but it looks absolutely promising. It allows educators to start open, invitation-only or approval-based online classes (public or private). They can add assignments with due dates. There’s an option for students to upload/submit their works so that teachers can track their learning progress. Members of an online class can also start discussions in a forum or send direct messages to each other, and social network features are also included. The beta of the app is a solid start, we are eagerly waiting for the results of further developments. It is almost impossible to enumerate how many ways WordPress is used in the field of education. 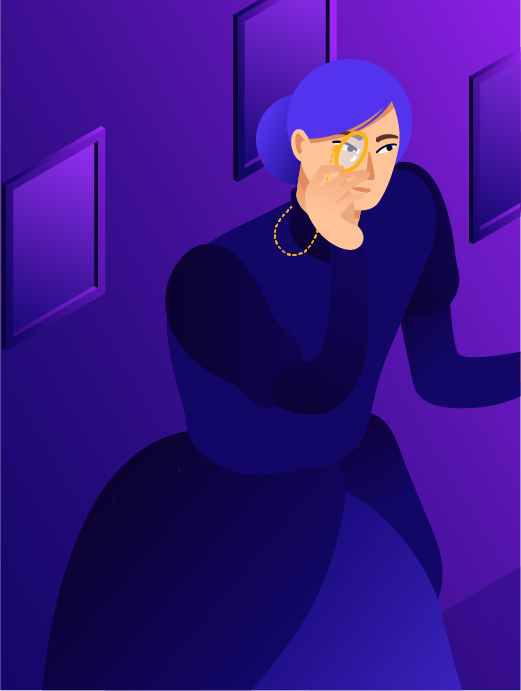 Thanks to the platform’s flexibility, new ideas come up from time to time on how to adapt the wide range of WordPress features to the service of education. Here are some of the most common ways WordPress is used in schools. More and more schools are running their entire website on WordPress, and it definitely happens for a reason. WordPress is open source, easy to work with, scalable, customizable and frequently updated. 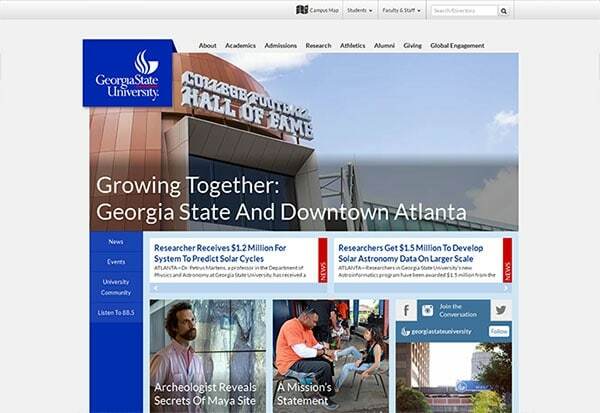 Even in 2014, many schools use old, outdated systems that run their websites. Because of the possible malfunctioning of these old-fashioned systems, schools usually pay a serious amount of money annually to have it fixed or upgraded. WordPress (being open source) is free and smaller sites can be migrated to WordPress easily and relatively quickly. How a school district will save up to $300,000 in 5 years only by switching to WordPress? There are venturesome people who modernize not only one, but 70 school websites simultaneously with the help of WordPress, because they think that the tons of advantages are worth the effort. 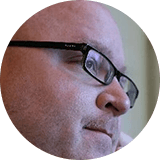 Cameron Barrett, the Head of Web Site Innovation & Strategy at Newark Public Schools, who has several years of experience, has recognized the opportunities in WordPress and modernized the websites of the public schools in Newark. The following case study is telling the real story of this huge project. We hope that we can prove the power of WordPress through this example. Trust us, it is worth reading! You were leading the migration of 70+ web sites from a terrifically-bad, proprietary SaaS to WordPress for New Jersey’s largest public school, Newark Public Schools. What were the problems with the previous system? 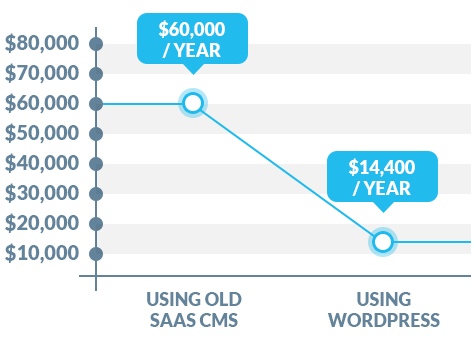 What were the exact reasons that lead you to a complete CMS change? I took the job at Newark Public Schools (NPS) because I was tired of working in the corporate world. I had a job offer to manage the UX design process for a large e-tailer company here in Northern NJ who was transitioning from a 15-year old platform to something more modern. The job would have required frequent travel to Poland to work with their developers, and my wife was not happy about the last job (World Economic Forum) I had that required international travel. So, I turned down that offer to make 30% less working for NJ’s largest public school district. Sounds crazy, right? Not when you realize that I come from a family full of teachers. Both of my parents were schoolteachers who worked for the Department of Defense Dependent Schools (D.O.D.D.S) — which is the international school system that educates the children of military personnel who are stationed in far-flung places. Most of my childhood was spent growing up in places most people have never even heard of. In one case, it was an American territory smack in the middle of the South Pacific on an island about the size of Manhattan. Another was a then top-secret military communications base in Northern England that in the 1980s was not even on maps. So, after 15 years of working for small companies, large corporations, startups, large NGOs, presidential campaigns, open source development companies and everything in-between I saw the opportunity to take my skills and apply them to a field I had not experienced yet but was very familiar with: schools. When I joined NPS, I spent a good deal of time educating the management on the benefit of firing their proprietary technology vendors and going with more open and flexible solutions. I only took the job after I was promised complete control over the web site technology that drives the public-facing websites. As soon as I dived into the previous vendor’s solution, I immediately saw the problem. 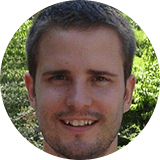 Their code was old, slow, closed, proprietary and prevented me from doing any type of custom development at all.For example, in early 2014 they were still delivering a template that was loading a version of jQuery from 2007. And because they loaded this outside the part of the <head> template I could control I could not simply over-ride it with a newer version, since you can’t load two versions of jQuery into the browser DOM without a lot of breakage. Another example is the super-antiquated templates they were using as a default. Every one of our school web sites was delivered in a mishmash of HTML with no less than 6 to 8 Flash/SWF files, most of which were loading widget headline text and an image carousel. This template was also baked into a table-based layout. Needless to say, these sites completely failed on most smartphones and mobile devices. Clearly, an overhaul was in order. Why did you choose WordPress (over the other CMS’s)? How did you convince the schools that WordPress would be ideal for them? 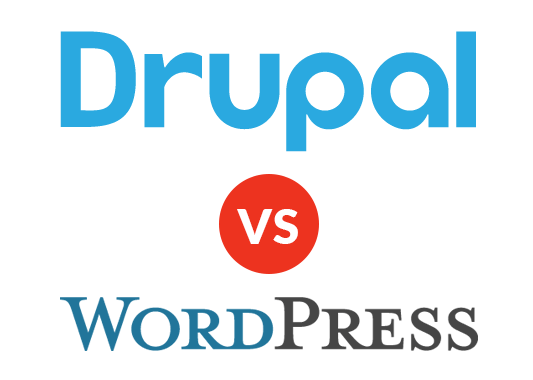 For this particular project, I looked at both WordPress and Drupal. I was building Drupal sites back when Matt Mullenweg forked b2, and remember meeting him at the O’Reilly Open Source Conference in Portland in, I think, in 2003 or 2004. He was so young! But I do recall him being very excited to meet the “Cam Barrett from CamWorld”, my pioneering blog (no longer online). Anyway, Drupal was my platform of choice in 2004 after MovableType lost steam. I built a huge snowboard community site for Snowboard Magazine in 2004 and was also instrumental in convincing The Onion to convert to Drupal from their proprietary solution. Interestingly enough, I think they’ve moved on from that as well and are on something else now. I hadn’t given WordPress much though until the late 2000s when I noticed that a huge number of websites and blogs had migrated to it. As much as I wanted to use Drupal for NPS, and I recognized that the developer community was excellent, I had to consider the cost of the custom development that would be required. Drupal developers are not cheap; at least not the good ones. I started looking at WordPress and since I had recently built a bunch of small client sites in WordPress between 2010 and 2013, I realized that indeed, WordPress could be used as a robust CMS. The fact that it has an open plugin framework and thousands of plugins (albeit not all of them coded well) was enough to convince me to choose WordPress over Drupal. Lastly, I think we’ve been waiting for Drupal 8 for what seems like years now. I love that community but I can’t fix their broken release schedule. Too many cooks in the kitchen? I really don’t know. I just know I’m tired of waiting. I also recognized that finding a local WordPress expert to help a rural school district with their websites was going to be a whole lot easier than finding a local Drupal expert in a rural area. Just to get a better insight on how huge the project is, could you please share some data with us? How long did the migration take? Did any unexpected problems occur? It’s really hard to gauge due to the way our previous vendor stored files. 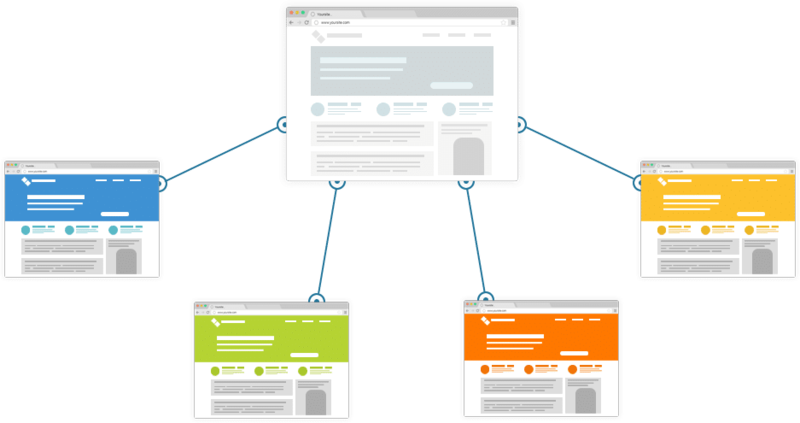 Due to the bizarre way .NET-architected CMS’s work, you could navigate to the same Page three different ways depending on your starting point. The default information architecture was a pure nightmare. I would estimate our 70 schools sites and district site combined were about 10,000 to 15,000 Pages. The number of documents and media assets was somewhere in the neighborhood of 50,000 to 100,000 documents. Again, very hard to determine because when I really dug in I found that the vendor’s SaaS CMS was storing the same document 70 times, once for each school. I kid you not. This means that any time a district policy document was released to schools it would get stored 70 times in the CMS. This ended up being many, many thousands more documents than was really needed. Such a waste of disk space. This also made it nearly impossible to keep those documents synchronized across school sites. The migration was pretty straightforward. 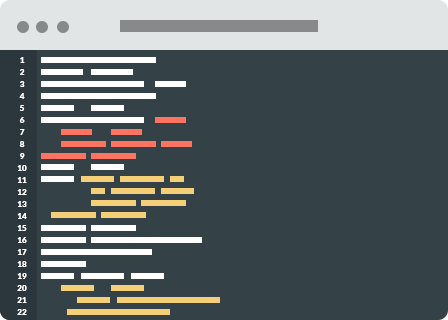 Our development partner wrote a content scraping script in PHP that looked for a specific block of code that we knew was in each template and sucked down all of the HTML, images and linked documents that was between the beginning and end of that code block. Granted, this also sucked down and imported the terrible .NET-output “MSHTML” with loads of unneeded CSS classes and IDs. We’re still cleaning this stuff up since it’s most a manual process of looking at each Page that was auto-generated by the content migration script. But overall, I started planning this project in January 2014, hired the developer in May. We did not start the actual coding until July 1, 2014 due to the mountains of red-tape and the bureaucratic procurement process I had to navigate within the state-run school district. This alone delayed things by a few months. I designed the theme in-house, which cut our development cost in half. The development vendor had a staging server up within a week and the custom theme coded by the end of July. This gave us the entire month of August to clean up content and fix issues. We barely made it and launched the sites on August 29, 2014. We were forced to because the previous vendor’s SaaS contract ended on August 31, 2014. We launched a little bit incomplete and have spent the past two weeks getting the school websites in shape. During this process of clean-up, we discovered that the content import script missed some Pages, PDFs and some media assets. Luckily, I used a site-scraping tool called DeepVacuum to scrape the entire site’s HTML, assets and files so we have a local scraped copy of the site stored in DropBox that we can refer back to when we discover a Page that’s needed but the import script missed. This scrape is 4.51 GB of data and is 23,138 files. Besides WordPress being an open source and easy to use platform, a lot of money can be saved by using it. How much money did you manage to save in case of this project? It’s impossible to do the math for all 14,000+ public school districts in this country. But I can tell you that NPS was paying a vendor $60,000/yr for their SaaS CMS solution. This paid for the SaaS CMS, the hosting and a support contract. Because NPS does not have any sysadmins in-house who can keep a web server patched and secure, we are paying WP Engine for a Premium II level dedicated managed server, which costs $1200/mo ($14,400/yr). We paid $9000 for the custom import script and another $30,000 for custom development, setup and various other development services. This Year One total is exactly the same amount we were paying per year to the SaaS vendor. In the end, we have development control of the solution and can offer it to other public school districts who want to follow our lead. Year Two costs are just the cost of hosting: $14,400/year and if we choose to pay for a developer support contract then there is that cost, too. I envision most school districts who want to follow in our footsteps would find a local WordPress expert who can act as first point of contact for any developer-centric issues that need to be addressed. There’s no need for these small public school districts to continue to use taxpayer money to pay for an expensive, proprietary SaaS vendor. It just doesn’t make sense when WordPress plus a local WP expert can do a better job — for a lot less. My 5-year cost projections by switching to WordPress leads to saving the school district between $150,000 and $300,000. It’s even more when you start realizing that using WordPress as an application framework can replace other proprietary systems that schools are paying for. Here’s an example: We use Blackboard Connect, which is the system that sends out automated phone calls and text messages to parents whenever there is a snow day or some other high-priority message that needs to be communicated. Newark is a very urban district, and one of the facts about most urban districts in this country is that the population changes their cell phone numbers on a very frequent basis as they switch plans or go from one pre-paid phone to another to another. This means that a large percentage of the phone numbers in our BlackBoard Connect database are not even valid or we end up waking up hundreds of unfortunate people at 4:00 in the morning on a snow day — the people who received that number next. Keeping the Blackboard Connect phone number database up-to-date is a Herculean task. We have some people doing that as part of the Community Outreach within NPS, but it’s never going to be 100% or even 80%. The solution, then, is remove the phone number problem from the solution entirely and do your high-priority messages in another manner. The solution is obvious: push notifications to iOS/Android apps installed on our parents’ smartphones. For less than $1000 we can use AppPresser to do this. AppPresser is a neat WordPress plugin/app that connects the native mobile OS hooks for push notifications to WordPress via a PhoneGap build. This gives us a very, very basic iOS and Android app that can render the sites in the mobile browser view and receive push notifications sent directly from our WordPress admin interface. This isn’t complete yet but we expect to have our apps in the Apple Store and Google Play within the next six weeks, just in time for the winter season and those wonderful 4:00 AM snow day messages. Yes! WordPress has grown up. It’s no longer the little blogging tool it started out to be. The brilliance that allowed it to grow into the open ecosystem it is today is what has turned it into a platform that is hosting nearly 1 on 4 web sites on the Internet. It only makes sense that school districts, large NGOs, non-profits, town governments, the federal government, and other institutions and organizations migrate to WordPress as well. Stop paying those expensive SaaS vendors. Stop buying enterprise-level software! You don’t need it. WordPress can do everything an enterprise CMS can do and more, and if you have an existing vendor solution you can’t replace then it’s highly likely you can hook WordPress up to it via an API or direct database queries. The smart enterprise vendors realize this and are opening up more and more each year. Besides School websites, WordPress is also used to create Class Websites, which are good examples of teachers using WordPress for blogging. They usually share ideas, assignments, class programs and information with their students and their parents. A Class Blog can be used in several different ways. Some educators post information and schedules for their students, keep parents up-to-date, and some of them use their class blogs for collaboration and discussions. Personal / Professional Educator Blogs are used for sharing tips with other educators and information with a bigger audience. Teachers running personal blogs can increase their cooperation with other experts and students, thus gaining more innovative ideas for their thoughts, theories, or even scientific discoveries. In case of educator blogs, the aim is to reach a larger relevant audience and egging them to actively comment on the posts, as these discussions and feedback will lead educators to improve their teaching practices and to bring their ideas to perfection. WordPress can be also used as a Library Blog and Library Content Management System in schools, which is a smart way to inform students and parents, share library news, book reviews and involve them in a complex “reading program”. The library’s website can run on WordPress as well as managing the entire database of the library can be solved with WP easily. Kyle ML Jones and Polly-Alida Farrington wrote an entire book on the subject: Using WordPress as a Library Content Management System: With WordPress, you can give Patrons easy access to your library’s digital content. Of course, education is not only taking place in colleges and universities, the whole world of the internet is a huge educational machine, where useful materials can be found on thousands of topics. There are plenty of free resources, but you can find premium/paid options for entrenching yourself in a field of interest/study. Many of the experts of a topic have recognized this opportunity and are offering their expertise, courses or learning materials in exchange for money. Needless to say, WordPress is able to handle this! So let’s examine the ways you can create and sell your online courses. Paid Memberships Pro is a popular WordPress plugin for those ones who would like to add an income source to their sites, blogs. 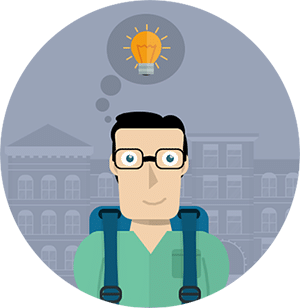 The plugin allows educators – or anyone who would like to benefit from their own expertise – to get paid on their own site by readers who are eager to sign up and get access to their courses or tutorials. 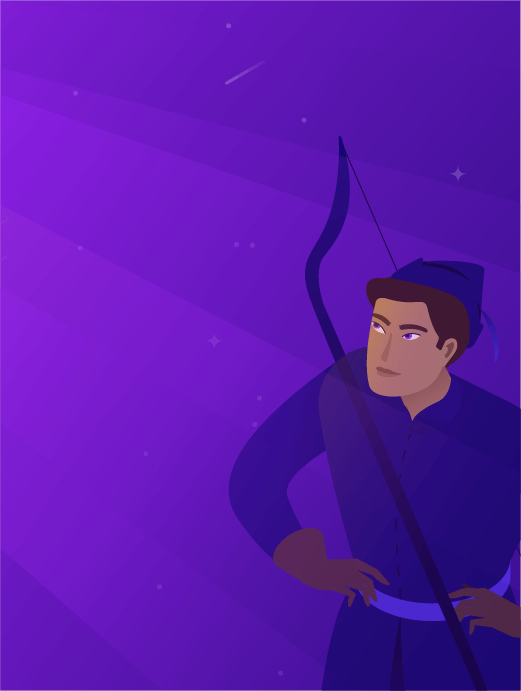 Check out this post for more on membership plugins. 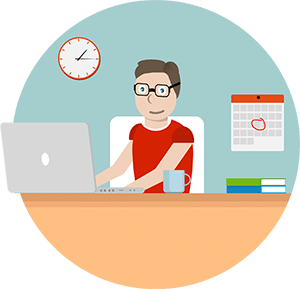 You can sell your online courses with the help of LearnDash LMS Premium WordPress plugin, which is specifically for those who would like their site to be a learning management system. It is a perfect plugin for educators, trainers and educational institutions. Several payment options are integrated into the plugin, you can sell your courses for a one-time price or require a monthly subscription from users. The number of courses and videos is unlimited, you can create a quiz and have a real-time discussion with your users. What more, it is compatible with all WP themes. WP Courseware is the third famous LMS plugin for e-training sites, which serves similar purposes to the previous plugins mentioned above. It offers easy-to-manage training interfaces, unlimited courses, the option to import/export courses, grade book export and whatnot. Sensei by Woothemes is probably the most widely known plugin for the same coursework purposes. It provides easy content creation with all the bells and whistles an LMS plugin needs, including course analytics, quiz grading and question bank; helping turn your site into an own online school. WPLMS Learning Management System is not a simple theme but a complex LMS. It is the most advanced WordPress education theme which grants permission to manage and sell online courses. The theme exploits the maximum capacity of WordPress, BuddyPress and WooCommerce. It allows the site owner to create unlimited courses, units within the courses; there are several options like statistics, records, quizes and questions that improve user experience and make your site amazing. 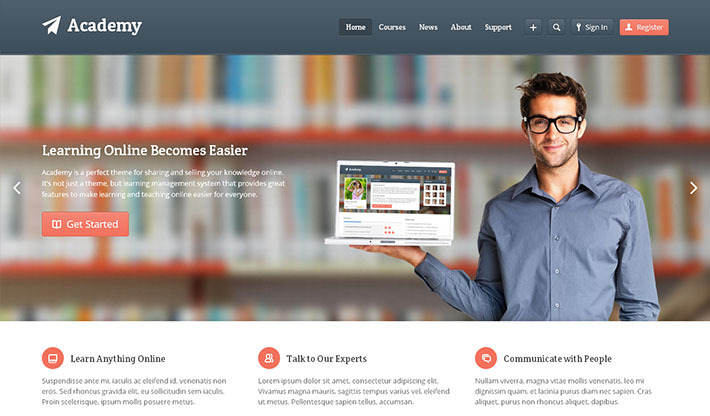 Academy – Learning Management Theme is also suited for online courses. It is a flat and modern theme providing a list of extended features like user profiles, course ratings, course certificates, student progress, social integration. It is not just a simple theme but a completely practical e-learning platform with loads of options for customization to maximize your revenue and user satisfaction. We tried to outline the variety of premium supplements (plugins) available for those who would like to get one step higher in education level and take advantage of the technological opportunities. Despite the various needs, at least one WordPress solution exists for every problem today, that makes users’ lives easier. For example, if a school would like to switch to WordPress and modernize its website thanks to our guide, web designers are there to help them. The designers and developers at Lemongrass Media have many years of experience in building school websites, and they always use WordPress for the foundation of these projects. Do their future clients (schools) know what WordPress exactly is? What kind of feedback do they receive from existing clients regarding WordPress? Read the interview below for the answers. You specialize in school web design and development based on WordPress. Why did you choose WordPress (over other CMS’s)? WordPress is highly versatile from a development perspective and it allows us to provide schools with a wide variety of functionality that has never been used or seen previously in school web design. Being open source means that it will always continue to improve and grow. The most recent round of updates including 4.0 (Benny) have brought the platform on leaps and bounds. From a client perspective, they need a back end that is simple to work their way around and one that is intuitive to use. In our opinion, WordPress scores the highest for ease of use and daily administration. How do you convince your clients to build their sites on WordPress? We explain to them the advantages of open source software and give them a demo of the back end. Coupled with our design portfolio, this is usually enough to convince them. Do clients even know what WordPress is? Do they usually have a clear vision of how they would like to have their site built? Some do yes, it really depends on what level of understanding they have. Occasionally a client will be under the misapprehension that WordPress is primarily a blogging platform and they are always pleasantly surprised when we show them the full CMS capabilities of a WordPress website and the large and complex sites that have been built and how simple they are to update and maintain. 99% of clients have a rough idea of the type of look and feel they like with some example websites but not a clear design vision. Through detailed questioning, we translate their thoughts into a concept and work from there. What kind of feedback do you usually get from schools? Can they handle using and editing their site easily? Do they like it? Feedback is always fantastic from schools, primarily as the previous software they were using is so antiquated that an upgrade to WordPress usually blows them away. Training is very straightforward and the vast majority of them easily update their sites on a daily basis. Through our support contract, we are always available to offer an extra pair of hands to keep the site fresh and used in the way it was originally intended. 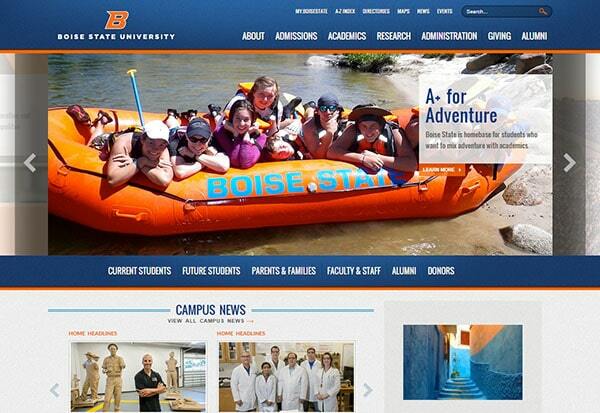 In short, WordPress was made for School Web Design. Our goal with this guide was to highlight how many ways WordPress can be used in the field of education. Our line-up is nonrepresentative, we tried to mention the most important aspects. There are still plenty of ways to use WordPress in the service of education (group collaboration, ePortfolios, repository for resources), a number of less common but very useful plugins are available for educators and students. The WordPress content management system has achieved great results and has already proven its popularity. 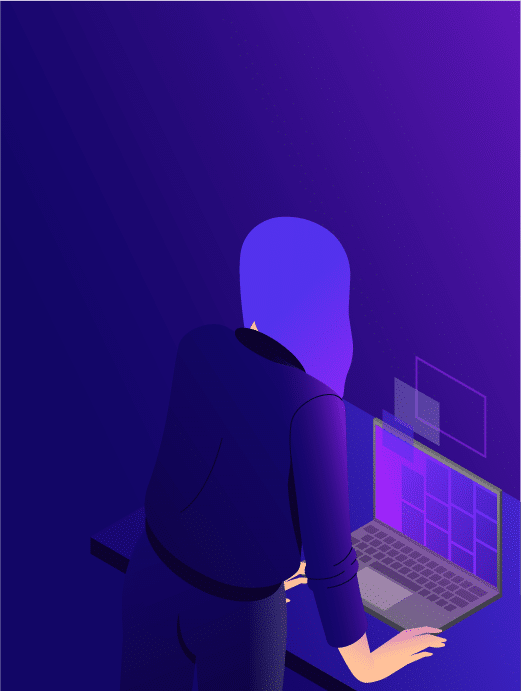 However, we at Kinsta think that the real WordPress boom is yet to come. In the next few years, the number of WordPress related services, solutions, plugins and themes will grow by leaps and bounds. Consequently, the opportunities for the use of the CMS in the field of education will also expand. We hope many of you have taken a liking to try WordPress. In case you are already familiar with it, and use any of the aforementioned solutions in practice, we’d love to hear about your experiences and results in the comment section below!